Its been a whole two weeks without a peep from me. Have you missed me? I'm sure many of you have already guessed my blogging break coincided with some travelling for us. Well, you'd be right! We visited not one but two fabulous locations. Since I went right back to work, I haven't had a chance to go through my photos yet but I'll be posting more about the trip next week. Anyone have a guess of where we went? (For those in the know, keep mum.) Two photographic hints above - one for each locale. If you're itching for a virtual vacation right now, please fly off for a peek at some past trip recaps: Moscow 1 & 2, London, Tokyo, Prague, Krakow, Budapest, Alaska 1, 2 & 3 and Paris. I'll be back tomorrow with the big reveal for my Halloween invites. Last but not least, I want to give a giant bear hug to each of my guest bloggers - Paula Grace , raenovate , Fixing it Fancy , Restyled Home , Emmy Lu , casaCARA , Home in the Country and From the Right Bank. Your contributions made made it so much easier for me to go offline and really enjoy my blogging break. I really can't thank you enough for the time you took out to share your projects while keeping this place interesting. In case you missed any of them, please check them out here: Guest Bloggers. Ooh! Thailand (left photo) & Vietnam (right photo)? If you did go to Thailand, I hope you had a wonderful time (we went there for our honeymoon)! Welcome back, you were missed. Your guest bloggers did a lovely job filling in. I'm also guessing Vietnam and Thailand. :) Can I just say how insanely jealous I am of all your travels? Glad you're back, hope you had a wonderful time! Welcome back, Stefanie.  It was great fun to play at the Brooklyn Limestone while you were away. :) That first photo is stunning and I can't wait to see the rest! I'm going to guess that second photo is from Bali? I'd definitely say Thailand. Looks like my folks' pics. You are too much!! Or I should say- you are your fabulous jaunts around the globe are too much! I LOVE IT! And yes, I missed you. oh i am sooooooooooooooooooooooooooooo envious. can't wait to see pics and hear a recap. i have a pretty good idea where you ended up. LOVE that you and the MR travel so much. LOVE. Yes, I did! :) Thailand? I was going to guess China and ? but clearly I'm not very good in geography. I loved your guest bloggers and have added them to my favorites. Thanks for sharing them and can't wait to see your photos! Any who, I'm guessing Thailand or Nepal. I'd love to go to both of those places one day? Glad you are back and can't wait to see more trip photos! Welcome back!! I cant wait to see more pictures from your trip, if they are anythign like your other photos they are sure to be amazing. ohhh, soooo excited to see more of the invites!! Girl, you know how to travel when you travel:) Can't wait until you post the photos. Welcome back, loved your guest bloggers! I'm goin' out on a limb and guessing Sumatra and Bali. Without looking at other comments, my guess is Thailand and Phillipines. I'm going to guess Indonesia. Pic on left: Lantau Island - Largest seated outdoor Buddha. I don't know what I want to know more? Where you went or what the invite looks like! Can't wait to see all the pics! Welcome home Mrs. Limestone. You and your husband have your own version of The Amazing Race with all the places you've been to.